We have so much fun with Me and My: making mini-mes of ourselves, and each other, creating fictional characters, dressing-up a person by choosing every 1st item, or all the things with purple etc. It’s the perfect “waiting room app” i.e. one that you don’t get sucked into playing for hours by having to “just get to the next level”, but can just play and enjoy, and then save and leave when you need to move on. Tokeru Publishing have the advantage of having in-house testers for their apps, meaning they are tried and tested before they even go on the market. No wonder we can rely on them for good quality apps. 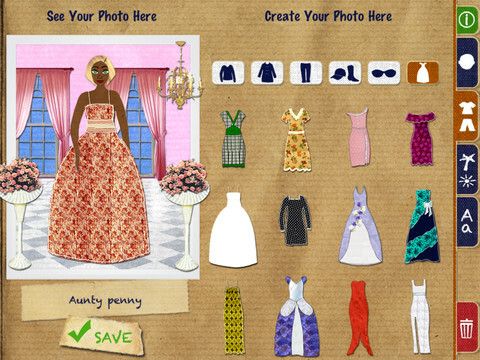 You simply must add this one to your collection of dress-up apps. 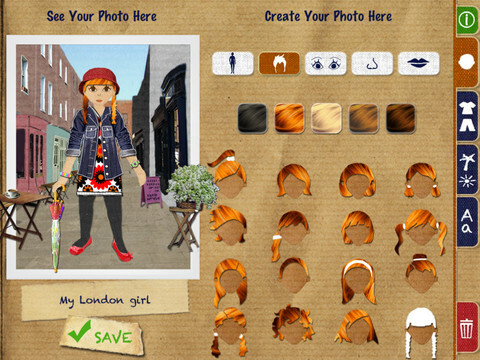 Choose from hundreds of combinations of facial features, hair cuts and colours, clothes, shoes, hats, accessories and scenery for girls and women to create your own picture of yourself , family members and friends. Designed and created by parents. Directed, demanded and tested by children. 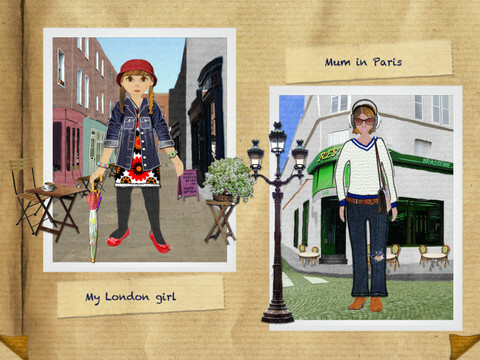 Focussed on 2-7 year olds, users will delight in filling this album with their very own collage creations. 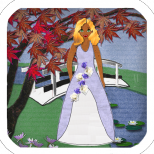 Hand crafted graphics give the album a real sense of the scrap books and paper cut out dolls we parents grew up with, giving this app a unique and original, tactile design not often seen in the digital medium.